[GR]Τον Ιούλιο του 1901, τα μέλη της ελληνικής παροικίας του Khartoum προχώρησαν σε επαφές με την αγγλο-αιγυπτιακή διοίκηση προκειμένου να τους παραχωρηθεί έκταση για να ανεγείρουν εκκλησία. Πράγματι, λίγες μέρες αργότερα, ο γενικός κυβερνήτης παραχώρησε στην ελληνική κοινότητα του Khartoum ένα οικόπεδο διαστάσεων 36,33 μέτρων x 47 μέτρων, μεταξύ των λεωφόρων Sirdar και Khedive, για μια περίοδο 1000 ετών. Η τελετή παράδοσης του τίτλου ιδιοκτησίας, στους αντιπρόσωπους της κοινότητας Λ. Λοΐζο, Κ. Γρίβα, Αγγ. Καπάτο και Ηρ. 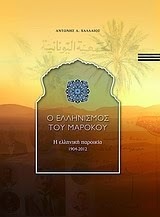 Καβαδία, πραγματοποιήθηκε από τον El Miralai Stanton Bey στις 14/7/1901, παρουσία μεγάλου αριθμού κατοίκων του Khartoum και του Omdurman. [EN]In July 1901, members of the Greek community in Khartoum got in contact with the Anglo-Egyptian administration in order to be given a land to erect a church. Indeed, a few days later, the Governor General granted the Greek community of Khartoum a plot (36.33 meters x 47 meters) between the Avenues Sirdar and Khedive, for a period of 1000 years. The ceremony of the presentation of the titles deeds of the land to the representatives of the Greek community L. Loizos, K. Grivas, Ang. Kapato and Her. 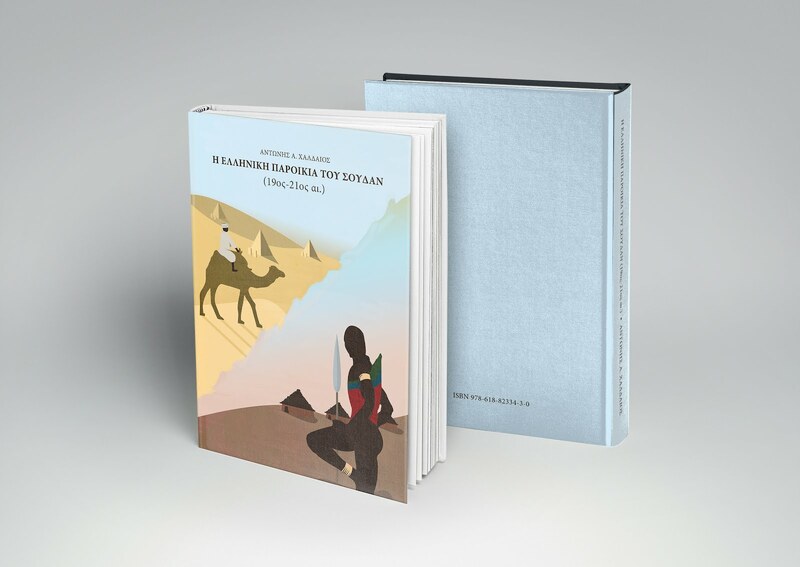 Kavadias was performed by the El Miralai Stanton Bey on 14/7/1901 in the presence of large number of residents of Khartoum and Omdurman. Between 1914 and 1917, during the World War I, the King of Greece Konstantinos A’ and the Prime Minister Eleftherios Venizelos argued whether Greece should take part in the war. The King was in favour of the Central Powers (Germany, Austria) while Venizelos regarded that Greece would gain more if it took the side of the Allies (Great Britain, France and Russia). 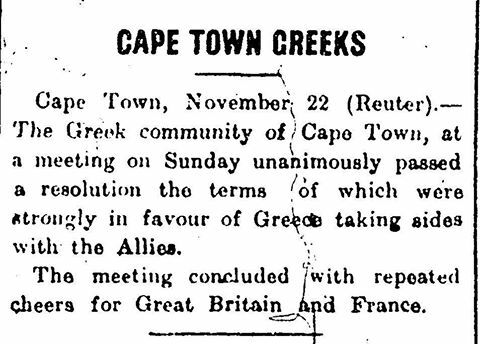 The Greeks who lived in Cape Town passed a resolution declaring that Greece should fight with the Allies side (Rhodesia Herald, 26/11/1915). The Greek pioneer farmers in Inhambane of Mozambique. 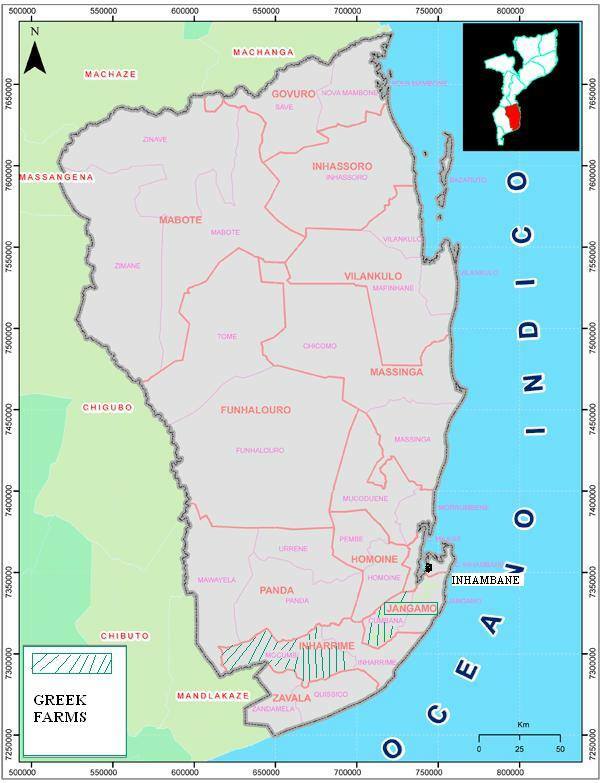 Since Mozambique was a rural country, a few Greeks engaged in the agriculture sector. 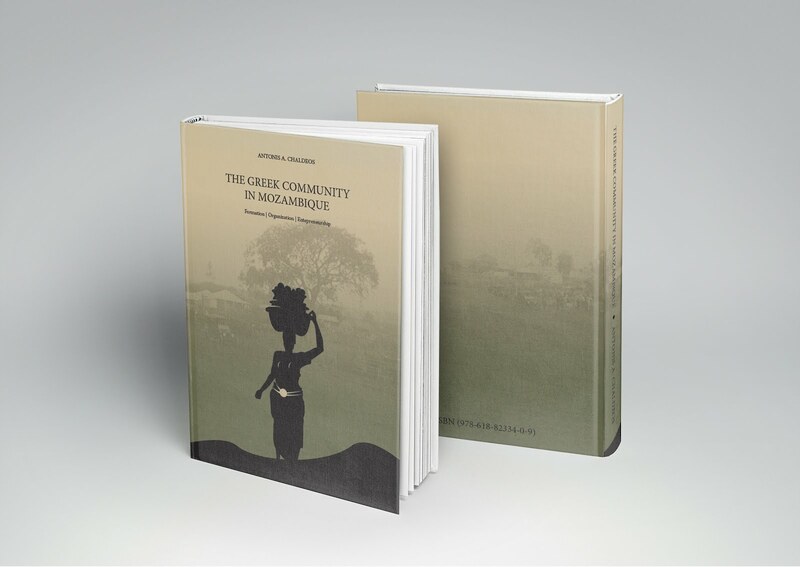 Between 1890 and 1920, the majority of them settled in the province of Manica-Sofala. However, a few Greek farmers lived in Inhambane to the south of Mozambique. The Greeks engaged in the sugarcane cultivation but soon they introduced the tobacco cultivation. Many Greeks were originated from the Asia Minor, an area with a substantial tradition and expertise in both the tobacco production and processing. As a result, when they settled in Inhambane they dealt with the tobacco cultivation which was favoured by the suitable climatic conditions. We should note that the Greeks were the first who introduced the tobacco cultivation also in Rhodesia. 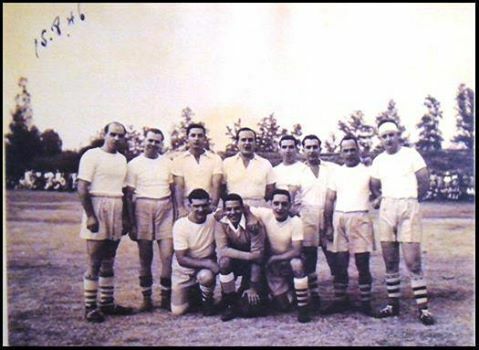 Some of the Greek pioneers in Inhambane were Michael Lygeros from Plomari, Michael Nicolaou, Dimitris Kalliontzis from Smyrne, Xenophon Poulios, Dimitris Pagonis from Chios, Panagiotis Avgoustatos from Kefalonia, John Vlassopoulos from Aivali, Michael Grispos from Dodecanese, Apostolis Angelides, Aristides Angelides and Aristides Eugenides from Kirkagac of Asia Minor, George Spellas from Spetses, Costas Katsulis and Kyriakos Katsulis from Samos, Panos Macropoulos from Smyrne and Telemachos Tsihlakis from Smyrne. Soon, some of them such as Aristides Eugenides and Panos Macropoulos created the first tobacco industries in Lourenço Marques of Mozambique . απόσπασμα από το βιβλίο " Οι Έλληνες του Burundi και της Rwanda"
[GR]Ένας από τους τομείς όπου οι Έλληνες του Burundi ασχολήθηκαν, από τα τέλη κιόλας της δεκαετίας του 1950, ήταν ο αθλητισμός και κυρίως το ποδόσφαιρο. Μετά την λήξη του Β΄ Παγκοσμίου Πολέμου δημιουργήθηκε στην περιοχή το «πρωτάθλημα της Ανατολής» (Le championnat de football de l’Est) με την συμμετοχή ομάδων από το Bukavu και την Usumbura, στις οποίες συμμετείχαν και Έλληνες παίκτες, αν και οι πάροικοι δημιούργησαν και μια αμιγή ελληνική ομάδα που αγωνιζόταν όμως εκτός του επίσημου πρωταθλήματος. 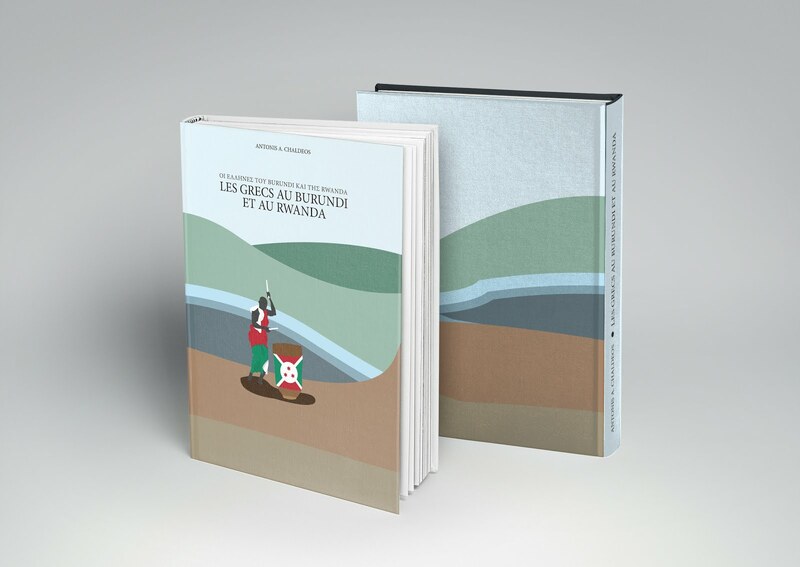 [FR] Dans un des domaines où les Grecs du Burundi s'impliquèrent dès la fin des années 50, fut l'athlétisme et surtout le football. Après la fin de la Seconde Guerre mondiale se créa dans la région le "championnat de l'Est" avec la participation d'équipes de Bukavu et d'Usumbura dans lesquelles prirent part aussi des joueurs grecs bien qu'en même temps, les membres de la communauté créèrent une équipe purement grecque qui s'entraînait en-dehors du championnat officiel. 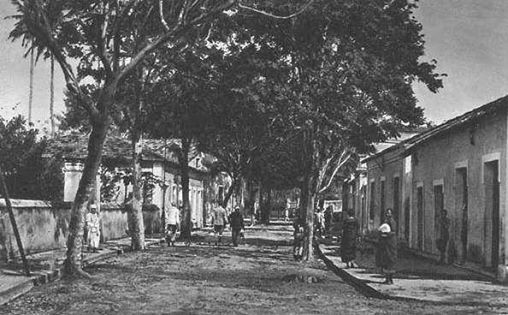 The first Greeks immigrated to Beira in 1890. They were either from Lemnos Island, in the northeast Aegean Sea, or had left Lemnos a few decades earlier and used to live in Egypt. In 1890, Paraskevas Paraskevas settled initially in Beira and then in Vila Pery where he involved in the cattle breeding and trading.That same year, Demetrios Paraskevas from Thanos village of Lemnos also arrived in Beira. In 1892, he started a bakery business with his brother Panagiotis. 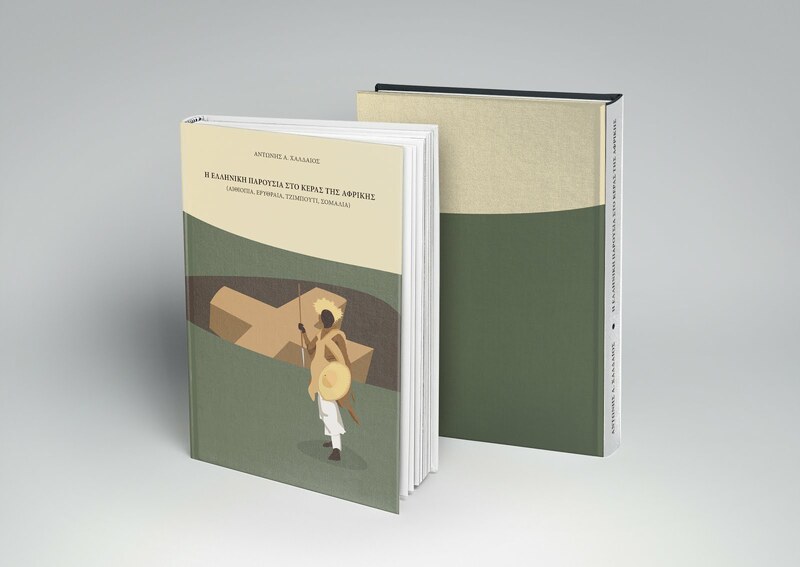 The migration flow of people originated from Lemnos intensified from 1898 onwards and included labourers who were hired at the railway works between Beira and Salisbury (Rhodesia). 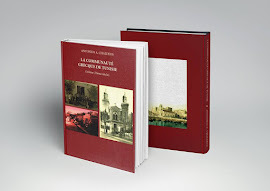 Some of these pioneers were: Nikolaos and Komnenos Chalamandaris from Livadochori village (1898), who initially immigrated to Alexandria, Sarantos Lecanidis from Katalakkos village (1898), Nickolas Kampanis (before 1900), Kimon Diomataris and Nickolas Vertsonis from Thanos village (1900), Nicholas Trataros from Androni village (1902) and John Miltiades and Dimitrios Verghis from Kontias village (1910). At the beginning of the 20th century, the first Greeks from Kasos Island immigrated to Beira and settled in Dez, in prefabricated houses made of tin. 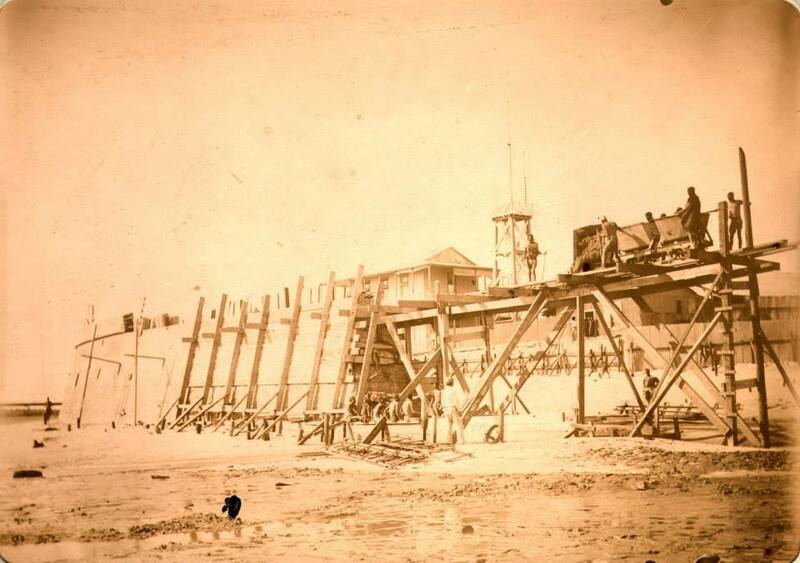 The vast majority of those immigrants used to live in Egypt, in Port-Said and Ismailia and had settled there because of the construction works of the Suez Canal during the period 1859-1869. After the completion of the Canal, these Greek workers were informed of the railway works in Beira. Due to the increasing unemployment in the construction sector in Egypt, they immigrated to East Africa. Some of them were George Galanakis, accompanied by several countrymen, George Meimarakis (1901), Konstantinos Piperis, Nickoletos Kakomanolis, Nickolas Antoniou, Nickolas Moridis and Hippocrates Zouridis. At the time when the first Greeks arrived in Beira, the city, according to descriptions was a miserable and dangerous place. None could imagine that it would grow into an important commercial centre of south-eastern Africa. Malaria, sleeping sickness and other tropical diseases plagued the whole region resulting in increased mortality. The settlement position, on the left bank of the river Pungué, reflected the need for a suitable and safe place for the anchorage of vessels. 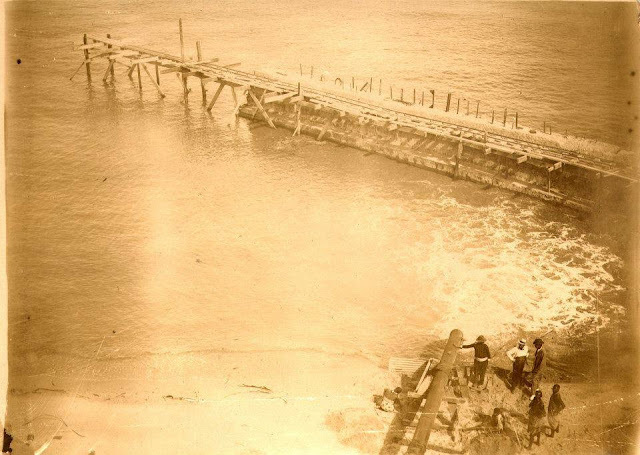 The first mooring facilities were built on the right bank of Chiveve in 1895 and became the basis for the existing harbour. 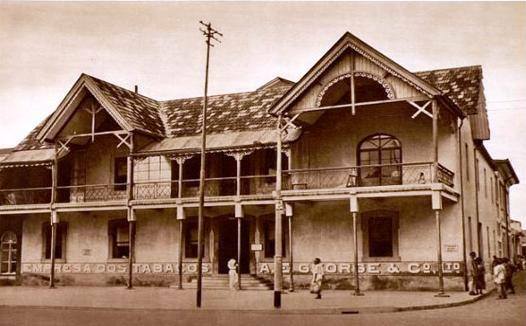 In fact, the first settlement was built in 1888, by the warehouses of Compagnia de Moçambique. Four years later, after the consolidation of the Portuguese sovereignty and the granting of the region to Compagnia de Moçambique, infrastructure projects started. Construction works expanded beyond the narrow sandy land between the Chiveve River and Pungué. Because of the soil structure, which was sandy, the main buildings of the settlement, such as the barracks, the prison, the church and the cemetery, were located on the right bank of Chiveve River, known as Maquinino, which was more compact. 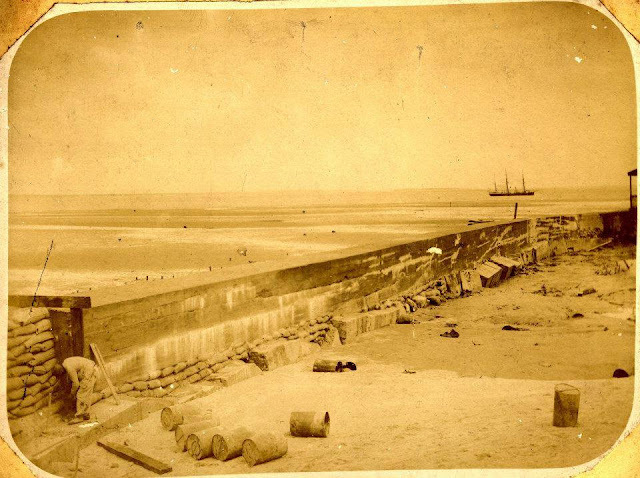 Because of the frequent tidal waves, the Portuguese built a wall around the business district to limit the impact of the water, giving a higher sense of security to those who lived there.